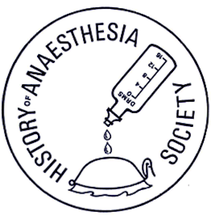 At the June 2008 meeting of the History of Anaesthesia Society the author reviewed the references to anaesthesia in the Times Digital Archive 1785 to 1985 . The present paper provides a similar analysis of articles in 48 other 19th Century British Newspapers that have been selected for digitisation because they represent different political and cultural segments of British society. In 1800, there were four main daily newspapers being published in London: The Morning Post; The Morning Chronicle; the Morning Herald and The Times. These were of roughly equal importance. However, with a dynamic editorial team and the introduction, in November 1814, of the Koenig Steam press capable of producing 1000 sheets per hour, The Times soon overtook its rivals, its circulation increasing from 5000 copies in 1815 to 40,000 by 1851. In England, Wales, Scotland, and Ireland the provincial newspapers were well established by 1800 and were usually published weekly, but their growth was slow during the first third of the century because they were subjected to excessive taxation designed to pay off the debt incurred by the Napoleonic Wars. Thomas Wakley, Editor of The Lancet, was one of those who strongly opposed these taxes, and it was only when they were repealed in the 1840’s that newspaper production expanded rapidly. During the first half of the century there were few professional journalists or mechanized printing presses, and most of the papers were produced by local printers and on a very small scale. Transport between cities was difficult and time-consuming so regional newspapers tended to concentrate on local news, and relied heavily on advertising revenue for their survival. By the second half of the century there had been a significant move of the population from the rural areas into the cities, London having grown from a population of 1 million in 1800 to over 2 million by 1850. During the ensuing years, the improvement in transport and communication systems, the mechanization of printing presses, the development of professional journalists and the general prosperity all contributed to a massive expansion of the press and to the birth of many new titles. The Devon Library Service provides a range of online reference sources. The microfiche copies of the 48 Regional 19th century newspapers could be accessed online by typing in a Devon library card number. There are a number of search options and, for the purposes of this communication, the news section of each newspaper was searched using the terms Anaesthesia or Ether or Chloroform or Nitrous oxide. The search yielded a list of 250 articles ordered according to their date, with the oldest first. The article could then be viewed as an isolated column of text with the keywords highlighted in green, or it could be displayed in its original position on the microfiche copy of the page. The article could be saved as a .pdf file, printed, or dispatched as an email attachment. Information about the dates of publication and history of each newspaper could be accessed from each reference. There were 250 references to anaesthesia that were published between 1824 and 1899. These were contained in 30 of the 48 titles in the database. There were 6 references to nitrous oxide, 60 to ether, 176 to chloroform and 8 to both ether and chloroform. Most of the references in the London-based papers appeared in the Daily News, The Morning Chronicle, Lloyds Weekly Newspaper and the weekly Reynold’s Newspaper while the most frequent sources of references in the provincial papers were Freeman’s Journal and Daily Commercial Advertiser (Dublin), the Liverpool Mercury, the Glasgow Herald, the Birmingham Daily Post, The Leeds Mercury, The Belfast News-letter, and the Caledonian Mercury (Edinburgh). There were only six articles each in The Manchester Times and the Cardiff-based Western Mail. Dr Elliotson first allowed some medical students to inhale the gas, with varied results. My Lord Howick then signified his wish to inhale the gas. “He took a little, which produced the most laughable effects upon his Lordship. He laughed all at one side of his mouth, and cut the most grotesque capers. But the whole company got most alarmed when they saw his Lordship take a London Champion newspaper out of his pocket, make it into the fashion of a merryman’s cap and go and set fire to it upon his head. Remonstrance was of no use; he ran about the room with the blazing headpiece, till the cap burnt down to his own locks, which seemed to put a stop to his gambles. Lord Palmerston next took the tube, and filled his mouth with the exhilirating air. He stood for few seconds quite speechless....and then ran towards the Turkish Ambassador, and wanted to hide his head under his wide and capacious breeches. .... The Turk did not appear to relish this manoeuvre very much for he took a quid of opium from his box and rolled it in his mouth, evidently under the influence of subdued passion”. ....“Lord Melbourne was the next experimentalist. He was eyed with great interest by the whole company; especially by the female part of it...... He then began suddenly to run up and down the whole room in an excitable state offering to embrace all the ladies in it”. The Bishop of Exeter (Dr Phillpots) and Dr Pusey (of Oxford) were the next to inhale the gas, again with unpredictable results, but it was the Chancellor of the Exchequer who caused the most distress for “he took two half crowns out of his waistcoat pocket; threw them violently on the table; went up to the American Ambassador; doubled his fist in his face, and swore he would kick him to Nootka Sound”. At this the company decided to take hold of the Honourable gentleman while Dr Elliotson gave him some sedative drops. These caused him to go into a collapsed state so they had to send for his carriage to take him home. The report concludes with the antics of an Irishman, and then those of Sir Francis Burdett who was on crutches because of the gout. He “threw down his crutches and spun round like a whirling dervish, upon one leg, with preternatural activity. Happening, in the middle of his whirl, to fix his eye upon a picture of the late Mr Pitt, he suddenly fell down on his knees as if to worship it, and asked pardon for all the sins, errors, heresies, and enormities of his youth”... This was the concluding experiment and the company dispersed. Surprisingly, there were only four other references to nitrous oxide. Two were from a dentist advertising his use of the gas in Birmingham and the other two were thinly veiled advertisements for a Mr Davies, a dentist in Dublin. The second reference to this man, dated 1871, is of interest because it refers to the revival of nitrous oxide anaesthesia for dentistry resulting from the visit of Gardner Q. Colton to Paris in 1867 and the subsequent visit of the American dentist Mr Evans to London a year later. The report notes that Mr Davies now employed Barth’s Patent Economiser that reduces the quantity of gas required for each anaesthetic from 8-9 gallons to 1-2 gallons. The report also cites a zero mortality with nitrous oxide compared with a mortality of 1 in 2,723 for chloroform and 1 in 23,204 for ether. Finally there was a brief letter in The Bristol Mercury in 1894 asking why chloroform was still used in dentistry when nitrous oxide was available and much safer. It is interesting that there are no reports of death under nitrous oxide either in The Times or provincial newspapers throughout the 19th century. The report on the first use of ether as an anaesthetic at University College Hospital on December 21st 1847 appeared in the issue of The Lancet dated December 26th 1846. The first reference to ether revealed by the search in The Times was on January 4th 1847 when William Herepath, an analytical chemist, described an operation that he had witnessed in the Bristol Royal Infirmary. However, the first reference to anaesthesia in The Times (not picked up by the search engine) was on December 28th 1846, page 3, columns E & F (personal communication, Dr AJ Newson, Auckland, New Zealand). This is an extract from an article written by Dr John Forbes in No. XLV of The British and Foreign Medical Journal. In this article Dr Forbes quotes letters from John Ware and John C Warren describing the use of ether for surgical operations in Boston, Massachusetts. Dr Forbes also provides a personal description of the operations at University College Hospital, London on December 21st 1846. The Examiner (London) and the Hampshire Telegraph and Sussex Chronicle carried the Herepath story on January 9th 1847, and on January 11th The Morning Chronicle (London) described successful ether anaesthetics at King’s College Hospital and St Thomas’s Hospital. These cases, and a failed attempt to anaesthetise a patient at Charing Cross Hospital were described in the Liverpool Mercury on January 15th. On January 20th The Derby Mercury described successful ether anaesthetics in Derby and Birmingham, and quoted a recent article in The Lancet describing the history and technique of ether anaesthesia. Successful anaesthetics were recorded on January 28th in Leeds and Sheffield, on January 30th in Liverpool and Edinburgh, and on February 10th in Aberdeen. Not surprisingly the Caledonian Mercury in Edinburgh scooped the story of Simpson’s discovery of chloroform with an article on November 15th 1847 entitled “New anaesthetic agent—Ether superseded”. This described its administration to three patients, two operated upon by Professor Miller and one by Dr Duncan. The Times reproduced this article on November 20th, and reproductions followed in Dublin and Newcastle on November 19th, Portsmouth on November 20th, Aberdeen on November 24th and Exeter on November 25th. On November 20th the Liverpool Mercury described the use of chloroform in 8 cases, one being a lady in childbirth. On December 7th the Mercury printed a paper given by David Waldie in Liverpool on November 29th 1847. In this paper Waldie, who had suggested its use to Simpson, described the properties and use of the drug. The inquest on Hannah Greener, the first person to die under chloroform, was reported in The Times on February 3rd 1948, and this report was reproduced by newspapers in Portsmouth, Preston, Glasgow and Liverpool over the next few days. From then until the end of the century there were regular reports of deaths occurring during the inhalation of chloroform both in The Times and in various regional newspapers. While some of the deaths occurred while the drug was being inhaled for the self-treatment of pain or asthma, and others were due to suicide or recreational use, the majority resulted from the use of chloroform for surgical procedures. There were 23 reports of deaths due to chloroform anaesthesia in The Times from 1848 to 1900, but the Regional newspapers carried 62 reports of deaths during anaesthesia during the same period, nearly treble those recorded by The Times. While most of these reports described deaths in the paper’s local area, some deaths were recorded by a newspaper in another region. One of the most interesting reports was published in the London Daily News of 5th July 1848. It describes the inquest on Walter S. Badger, aged 23, who died under the influence of chloroform administered to him by Mr Robinson, Surgeon dentist of Gower Street, on Friday 30th June 1848 (It was James Robinson who was persuaded by the American physician, Francis Boott, to administer the first UK ether anaesthetic for the removal of a tooth on December 19th 1847). The Coroner was Mr Thomas Wakley, Editor of the Lancet, and the inquest was held in the Apollo Tavern in Tottenham Court Road on Saturday 1st July and attracted a large audience of medical men. The report stated that after a protracted hearing the jury concluded “that the deceased died under the influence of chloroform acting on a diseased heart and enlarged liver”. However, on July 11th the Daily News carried a further story concerning this inquest. It stated that it had received a letter from Mr Robinson claiming that their report was erroneous and that chloroform had not been implicated in the verdict. The paper went on to explain that it had not been possible to cover the inquest in the usual way because Mr Wakley had not provided sufficient notice of the inquest to enable them to send a reporter, and it then accused Mr Wakley of attempting to deny the press access to the most important inquests by holding them at short notice and in private homes so that he could secure the copyright for the Lancet which he owned. Mr Wakley does not appear to have rebutted these charges. In addition to the reports of deaths, there were a number of articles discussing the safety of chloroform, and in 1870 a physician called Charles Kidd, writing from Sackville Street in London, claimed that he had given 10,000 chloroform anaesthetics without a death! There were also descriptions of the use of chloroform anaesthesia in veterinary practice, in the treatment of cholera and hydrophobia, and for the removal of bees from a hive! Whilst these references to anaesthesia provide an illuminating commentary on the practice of anaesthesia throughout the 19th century, one cannot help reading some of the stories that appear in contiguous columns of the newspaper. For example in 1838 the description of the nitrous oxide larks at St Barts was followed by an article entitled “Lord Durham’s pie”. It appears that Lord Durham was planning to give his friends a Christmas Pie to celebrate his safe arrival from the “Far West”. The contents were to include “12 Solon geese which his Lordship had shot on the banks of the St Lawrence, a large calf’s tongue with the guts and gizzards of 12 water hens; a sheep’s liver with all the biliary appendages; reindeer tongues from the Emperor of Russia; two bottle nose whale tabs, from Mr Hutt of Hull; four curious Canadian sea-gulls;.... and a fine sucking pig of the Turton breed..... The whole weight of the pie will be about a ton and a half”. There is then a detailed description of the pie crust and the various decorations and inscriptions to be placed on it. The article concludes that “the remains of the pie, after the Durham banquet, are to be served up as a dessert at the Hull dinner to be given in honour of his lordship”. Since there was no further reference to the consumption of this pie one wonders who perpetrated the hoax? But there was also more serious news: in 1852 one of the anaesthesia articles was followed by a poignant report listing the names of the vessels in Dublin waiting to take starving emigrants to the USA after the great famine. Later there was a description of the wreck of one of the vessels off the New England coast. Many papers carried a “Miscellany” section packed full of information on a wide range of topics. For example in The Leeds Mercury on June 24th 1848 it was noted that there was marked increase in the number of unemployed in Glasgow; that the Messrs Rothschild had lost upwards of 8 million pounds because of the recent continental revolutions; that the late Princess Sophia, daughter of George 111 had received nearly a million pounds in public money during her lifetime; that in May 1848 there had been less than 3⁄4 of an inch of rain compared with 5 and 1⁄4 inches the previous year; that Berlin has suffered a heatwave followed by a hailstorm that had broken more glass than had the revolution; that the Liverpool steamer and Furness Railway had brought their correspondent 7 hours distant from Liverpool whereas in previous years it had taken 36 hours to complete the journey; and finally, that in 1766 the Duchess of Charteris had beaten her husband in a foot race of 200 yards for a prize of 200 guineas, the Duchess having been allowed to secure her petticoats above the knees of her drawers! Obviously, it has only been possible to provide a brief outline of the way in which Regional newspapers have viewed the development of our speciality throughout the second half of the 19th century. Not surprisingly, The Times carried more reports and correspondence concerning the relative safety of ether and chloroform than the regional newspapers, and it also carried more reports of anaesthetic practice in other countries, while the latter carried more reports of the inquests on chloroform fatalities occurring in their locality. There must have been many deaths that were not reported, but from a perusal of the ones that were, one cannot help wondering why chloroform continued to be such a popular agent well into the 20th century.